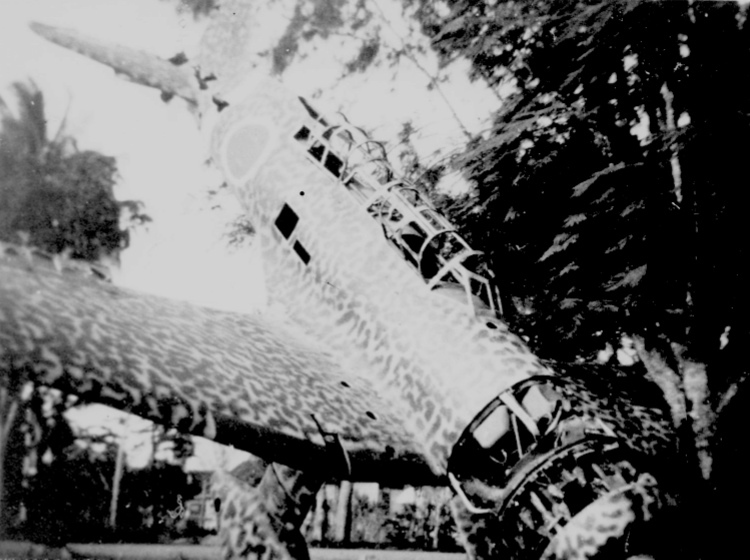 Further to the photograph of the JAAF Ki-15 in unusual mottled camouflage shown here in March 2008, correspondent Jacob Terlouw has kindly provided another photograph of what appears to be the same aircraft. Rather than Malaya, the original owner believes that the location may in fact be Indonesia. 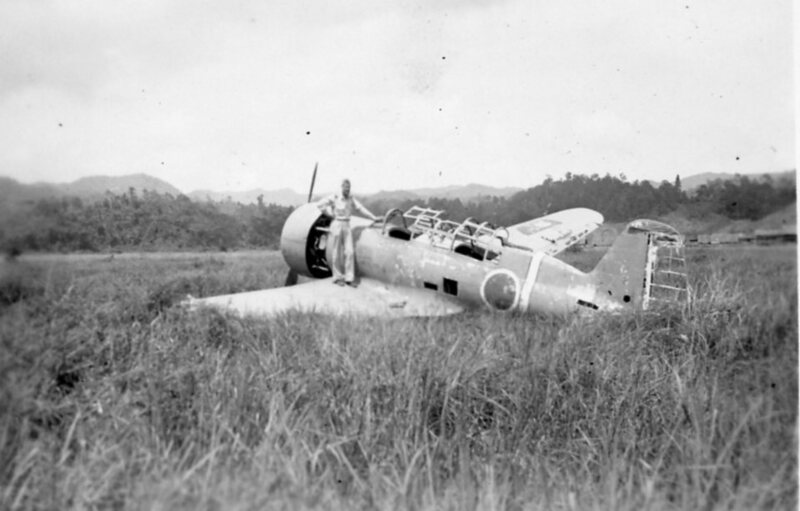 This photograph reveals that the aircraft is a Ki-15-II type. Colours are conjectural but note the differences to the previous image which may be due to the type of film used. Another "Babs", this time a Ki-15-1, photographed on Ambon (Amboina) in 1946 in a single overall colour perhaps badly sun bleached. There appears to be two "ghosted" horizontal stripes just visible on the tail fin, either painted over or bleached out. Note also the bordered fuselage band. For anyone who wants to try their hand at replicating the challenging mottled camouflage scheme in 1/72nd scale, the respectable LS kit of the Ki-15-11 dating from the mid 1960's, shown above, may still be found and is also available from time to time in the guise of the Arii re-issue shown below (for less than £5 if ordered direct from Japan). Thanks for posting the additional photo view. Yes, a very interesting Babs indeed. Personally I think, what I see as, red IFF stripes give an extra touch and the make the whole subject even more interesting. I thought the same thing also re the IFF leading edge stripes being red, and then I went back and looked at the photo posted from 2008...and they don't seem to be there at all! Nick, is your inference that the earlier photo have been taken with orthographic film? The odd thing is that in the photo posted today, the IFF markings, if visible at all, barely seem to exceed the wheel spats at their outside edge. Not so the other photo, which seems both to show them clearly and show a much wider length. Here's a great example of something mentioned often here - dogmatic photo interpretation should be taken with a grain of salt. In any case these are wonderful photos, and if a modeler went with his preferred green or olive shade over a light grey-green, who could tell him he was wrong? 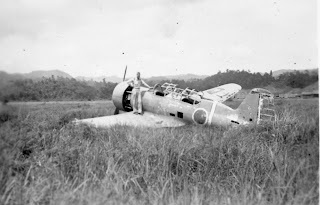 Re the photo taken on Ambon Island, looking at the rudder made me wonder if the aircraft might have possible been a liaison / recon bird for the 24th Sentai, with their "two stripes on the fin, two on the rudder" markings, familiar to us on Type 97 "Nates" in China. This does not seem likely on an a/c found in 1946, but I don't know the history of the group or its eventual postings. I'll bet you or someone else here does, Nick. 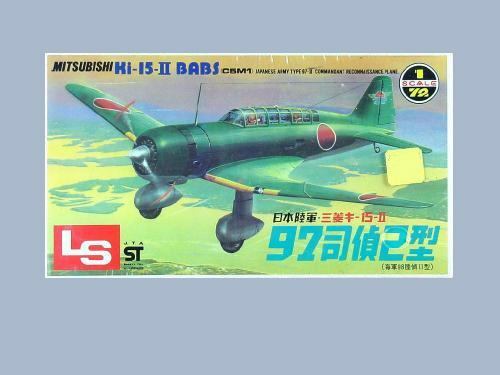 I have built the LS kit in both Ki-15-I and -II versions, and it is still a very nice kit, as is the Mania / Hasegawa kit, as modelers have shown on this site recently. I like the LS kit better for its very thin trailing edges and as a way of avoiding a difficult problem with the Hasegawa molds - the canopy sills which are much too high and, at least to me, a challenge to fix. Once more this site has added to my files on this beautiful airplane, which is valued all the more since the type has mysteriously escaped the Koku-Fan / Maru Mechanic treatment - as well as any decent 1/48 or 1/32 kit representation. More's the pity. Thanks all for your comments, Ken, Arawasi & Mark. Mark, there is a whole sub-culture about film types and their effect on greyscale populated by some very scary people and I'm afraid I've never got my head round it all. One thing I will mention is that very often these discussions are about images that have been scanned, not always from original photographic prints but as published in books, formatted in a multitude of software programmes and operating systems, compressed, transmitted and then displayed on monitors with distinctly individual characteristics. Current image "correction" tools are advanced and it is relatively easy to "improve" images but I guess how close the result is to the original first generation print is only assessable if the "corrector"/"improver" has that print to hand! The question of what these aircraft were used for after their life as cutting-edge photo-recce machines was over is a fascinating one. Hacks, communications aircraft, VIP transport? It is an intriguing question, especially for modellers looking for something different. Whatever the mottled "Babs" was used for the painter clearly had time on his hands and/or a demanding customer! One might imagine a carefully tended aerial taxi for some important brass to scoot around in but the possibility of finding out is limited now. As to the other, I don't have my references accessible but IIRC the 24th went back through the Phillipines and their striped marking didn't last beyond 1942, being replaced with a silhouette "24" flash. It may just be my fevered imagination but I think I can see the trace of intersecting circles at the rear of the stripes on the fin but the presentation does not appear quite correct for those units with such insignia (83rd Sentai, 71st, 73rd, 89th, 91st IFC). The upper wing hinomaru on the second Babs *appears* to be red/white halves like the early Indonesian national insignia. Or, is there a replacement panel or paint damage that creates this appearance? In any case, a very interesting, seldom seen bird. The best option is probably to sell them individually on eBay. There are kit dealers who will offer you an all-in price for the whole collection but you'll not get their full value that way. The difficulty for you will be knowing their value to set their starting prices. You could do that by checking similar kits on eBay or send me an email with a list of the kits you want to sell and I'll be happy to suggest some starting prices for you and identify which are the most valuable. You can contact me via the email link on the sidebar. PAWHA is an international organisation representing a collective of researchers and authors from all walks of life, who collaborate with each other on their niche expertise in all areas and specialties of the Pacific war. Its alumni include about 50 members, mainly recognised authors and researchers. As multinational historians PAWHA members preserve a unanimous desire for objectivity and veritas. The PAWHA insignia represents the Southern Cross, signifying the skies of the Pacific. It was designed by Don Marsh. Aviation Graphic offers high quality aviation art prints, including the Japanese aircraft profiles of Ronnie Olsthoorn. These beautiful large scale prints are the best way to appreciate the very fine detail. 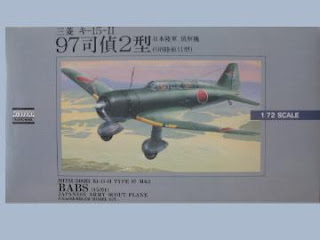 Recommended for the best in Japanese aviation resources, magazines, books, kits and decals. 1/72, 1/48 & 1/32 Japanese Subjects! 1/72, 1/48 & 1/32 Japanese Subjects plus resin & PE accessory sets! You don't need a Google username and password to make comments on the posts. To add a comment just click on "comments" at the bottom of each post. A pop-up shows the comments already made with a box to add your own comment. Ignore the Google Username and Password boxes and select "Name/URL" instead. A box will open where you can enter your name and then publish your comment. All comments are moderated and therefore may not appear immediately. Anonymous comments will not be posted, however meritorious. Untold stories of Japan's Naval Airmen from interviews with surviving veterans. Very highly recommended. "The Eagles of Manchukuo 1932-1945"
j-aircraft.com - "the best web site in English related to Japanese military aviation"
I first became fascinated by aviation in the Far East at the age of about 7 when my father lifted me into the cockpit of an 'Ohka' rocket-propelled piloted suicide bomb displayed outside the armoury at RAF Cottesmore. It made me think about the people who had designed and built such a weapon . . . and why . . . but especially those who were prepared to fly it - and those who had to face it.